ZADAK, in association with NVIDIA Taiwan, wowed visitors at the opening of the Taipei Game Show 2019, presenting a scratczh build from up and coming Taiwanese modder AK. Inspired by the popular Fallout® 76 PC game, the Pip-Boy mod is composed of leather, aluminum and 3D-printed acrylics. 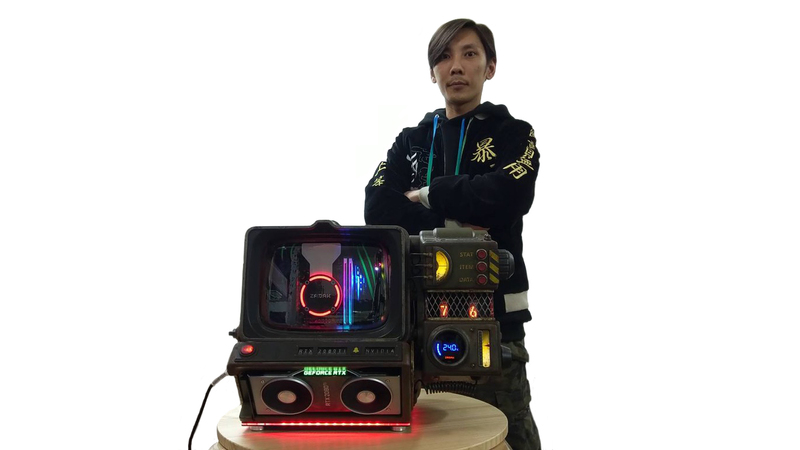 It marks the first collaboration between ZADAK and NVIDIA Taiwan, showcasing the flagship MAOB II Water-cooled PC from ZADAK, and the latest NVIDIA® GeForce® RTX 2080 Ti gaming graphics card.